THE Bago City Government will again underscore its flourishing agriculture sector through its 53rd Charter Anniversary celebration starting on Tuesday, February 12. 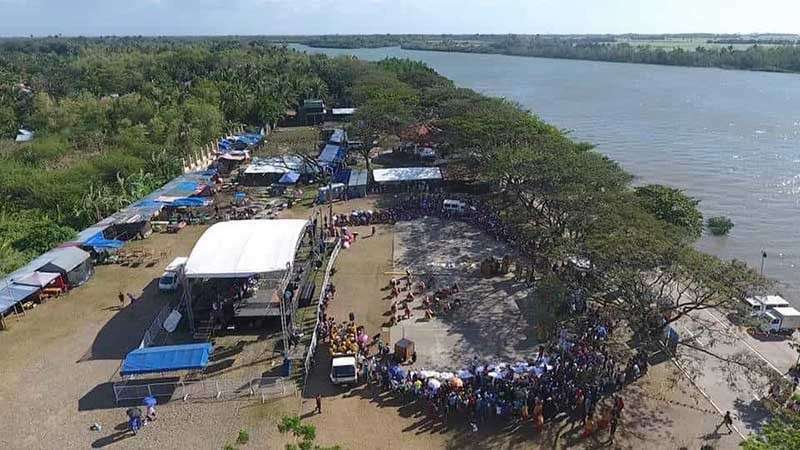 Mayor Nicholas Yulo on Sunday, February 10, said the Agro-Industrial, Cultural and Educational Fair at the Bantayan Park has been one of the highlights of the annual celebration. It will be conducted from the opening day up to the closing on February 19. Yulo said the activity highlights the produce of the 24 barangays in the city. Like the Panaad sa Negros Festival, each has a booth to showcase their respective one-barangay, one product (OBOP). In fact, there will be a search for barangay best product and best OBOP center. “We are an agricultural city. Our emphasis is also on food production,” he said. “Thus, our charter celebration really focuses on agriculture,” he added. The city government recognizes the huge contribution of agriculture in the economic landscape of the locality. About 90 percent of the population depends on agriculture as a source of livelihood. Bago is considered as the rice granary of Negros Occidental. It contributes about 19 percent of the province’s total rice production, according to the City Agriculture Office. The mayor reported that in 2018, the city posted an increase in rice yield from 4.1 tons per hectare in 2017, it went up to 4.3 tons per hectare. To further boost the rice sector, the city will also hold the “Paindis-indis sa mga Pinakamanamit nga Linuto Himu sa Bugas” on February 18, also at the Bantayan Park. Yulo said the activity promotes value-adding for rice, which can enable local micro, small and medium enterprises particularly food producers to generate more income. On the 19th, during the Farmers’ Day, there will also be a Karabag-O Festival highlighting the city’s effort to develop its milk industry. Yulo said they are into the promotion of dairy carabaos. So, aside from various dairy products, the festival showcases various breeds of carabao producing a better volume of milk developed through genetic makeup improvement. “We can really see the enthusiasm of our farmers, that is why we are supporting and highlighting them every time we celebrate our charter anniversary,” he said, assuring that agriculture development remains a major priority of the local government. Other activities include Association of Barangay Councils Day wherein the city will recognize the best barangay, chairman, and kagawad on Wednesday, February 13; 12th Bagonhon Awards for outstanding taxpayers on February 18; and Babaylan Festival Dance Competition on February 19, among others.